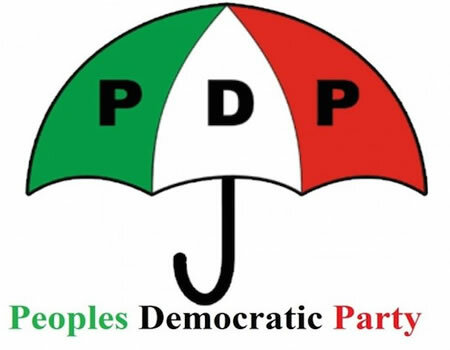 As the opposition, Peoples Democratic Party, PDP national convention draws nearer, one time governorship aspirant under the party in Benue state, Dr. Tivilumn Nyitse has advised the party leadership to work towards producing acceptable leadership in the forth coming convention. Nyitse who commended the leadership of Markarfi urged the party to avoid impunity that could thwart the efforts at repositioning the party towards reclaiming power in 2019. While advocating spirit of sportsmanship among the aspirants in the forthcoming convention, Nyitse, an erudite Journalist turned politician charged those who may not be elected during the convention to be able to accept defeat at the end of the day for the growth and development of the party. Speaking on electoral reform, Nyitse expressed optimism that the ruling party, All Progressive Congress, APC would ensure the workability of electoral reform to further deepen the nation’s democracy. He noted that the problem with Nigeria over the years was the application of law which in most cases were always twisted in favour of government in power. He charged the authority of Independent National Electoral Commission, INEC, to train its staff on the usage of card readers to forestall the lapses recorded in 2015 general elections. “The application of law is our problems, operators of card readers should be trained. Technology should be screwed against outside government. Whatever will improve d electoral process is welcome”. On his purported plan to throw his hat into the ring once again, Dr. Nyitse disclosed that he has embarked on one on one consultations with political stakeholders, friends and association to renew his aspiration to contest the Benue state governorship election comes 2019. The former permanent secretary government administration stated that he has all it take to govern the state having acquired necessary experiences as someone who came from the private sector to public sector. ” I am in better position to serve the people of the state comes 2019. With my exposure, experience and background knowledge of the state, I have the ability to render good governance”, Nyitse stressed.